Free English lesson plans. The 80 page TEFL course uses the English only communicative approach to teach English as a foreign language. 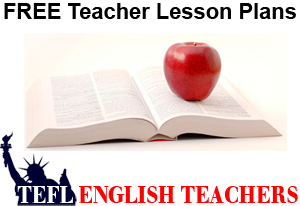 The English only lesson plans are designed to teach a 4 week – 20 day course. 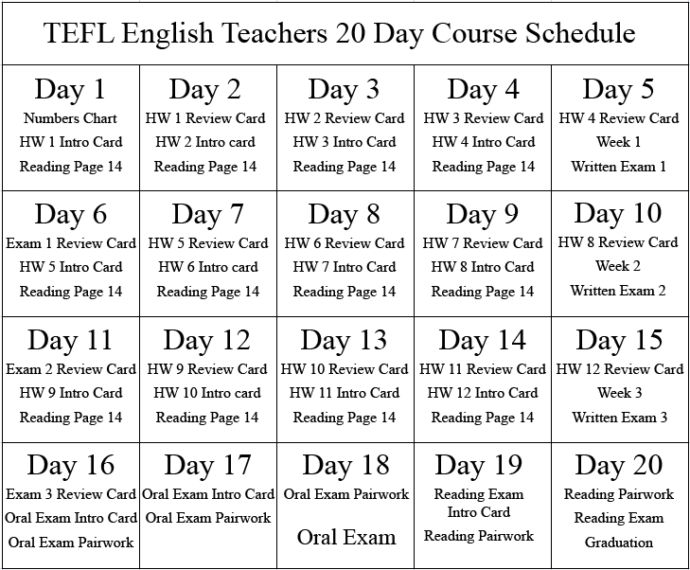 The TEFL curriculum for the first 3 weeks of classroom instruction offers 12 daily homework assignments and 3 weekly written exams administered to students on a Friday. Week 4 is comprised of oral & reading exams followed by graduation on day 20. 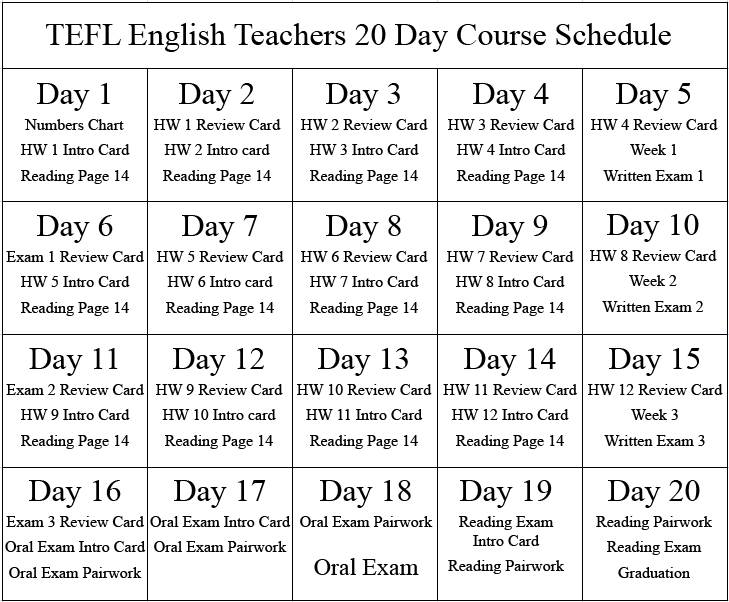 The TEFL English lesson plans document every segment of the bell curve from the Day 1 Greeting through the Day 20 Graduation Ceremony. 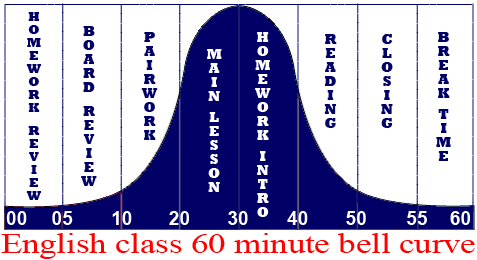 The bell curve format makes class room instruction easy to use and follow. The English class curriculum strictly follows a 60 minute bell curve format designed to capitalize on student’s main attention span during the 10 – 40 minutes time period of the standard bell curve. TEFL English Teachers conducts homework review and introduces new material during the peak of the bell curve when students are most focused in the classroom. 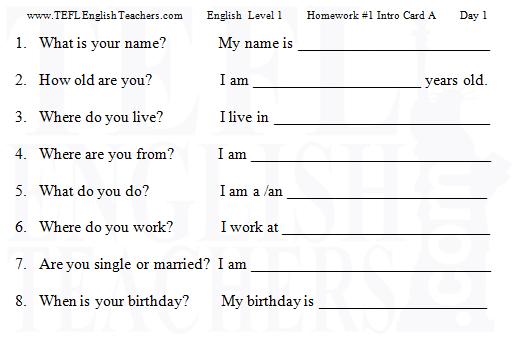 Each English level comes with 60 White Board cards which are to be cut out and laminated on 4″ x 6″ cards. The white board cards are given to the students to write their daily homework assignments on the white boards.